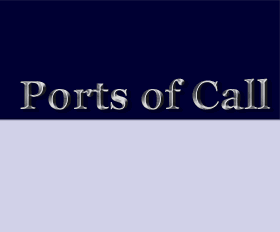 Ports Of Call :: View topic - What do YOU do? Posted: Wed Sep 25, 2002 3:06 pm Post subject: What do YOU do? The reason that I started this topic is to find out about the users of POC. Some may say that this topic doesn't necessarily belong in the XXL section, but it seems to be the most used, and hence would give the greatest number of results. I'm a 20 year old male (nearly 21) who is currently studying for a Biology degree at Southampton University in England. I used to play the original POC on an old Amiga, and (as I was very young and naive) assumed it was freeware/public domain. Now I know of rdklein's vastly improved version, I have bought a gold licence, and hope to upgrade very soon to a platinum. I'm a 24 year old male. I live in Balingen, a 33.000 citizen town in the south of Germany. I study business informatics at the University in Albstadt. Besides POC I like Star Trek. Everyone who wants to know more about me can visit my homepage http://www.jorichter.de/ (but it is in German). Posted: Wed Sep 25, 2002 7:38 pm Post subject: So who is horst_machete ? Well, it seems we have a trend in age: I recently turned 25. Im a male, but then, we`re short of women as it seems, so no advantage there. Im studying in the tiny town of Elsfleth/Weser where they offer "maritime economics and port management". Im in my 4th semester and hope to be of help concerning development of xxl. And, well, i too am guilty of excessive illegal use of poc classic - go amiga! But i hope to be forgiven, I bought platinum this time although it was hard. I`m trying to make it worth the money by playing every minute i have, and more. I'm 20 years young, just finnished my school part as maritime officer, born and still living in The Netherlands. Next year when ive finnished my trainnee time, i'm going back to school for my highest degree as maritime officer. later on he became General Manager for a Dutch Shipping Company and a few years later he started as Port Captain for Six Construct, a leading construction-engineering firm. This was it quite a bit. Is the last ship in your series of photos the "Canterbury express" or "Auckland Express"? it may just be a ship of the same class but I thought I would ask. I'm a 26 year old male. I live in a big 2700 citizen town ( ), 50 km in the south of Vienna (near Wr. Neustadt). I am working as an accountant and IT-Administrator in a tax adviser office (at Mödling). I played POC first time with Amiga. Some time ago I found the DOS Version. Now I bought Platinum License to support the new version and to look how its developing. I'm 21 years old. I'm in the last year of my Informatica study. So, you could say I'm a programmer. I have nothing with boats or anything like that, but I just like the game. On my old pc (in dos!) I played poc many hours, days and weeks. Now I'm glad there this new version, so we can do it again. I feel like a youngin, probably because I'm the youngest to post so far. I'm 19, male, and I live in Launceston, which is in Tasmania, and considering our own country forgets about us, it's in Australia. I was a networking student, but I finished, so now I'm a full time POC player. I never played it on amiga, about a month ago a mate told me about this really cool game he used to play, and we proceeded to play POC Classic. I was a bit dubious at first, and thought he was joking about it being a 'great game'. But after an hour, I was hooked. Then he told me about XXL, and unfortunately, I haven't run classic since. So I think this is where I'll compliment RDK and everyone else that contributes to the development of such a great game, congratulations, and keep up the good work. Well, I'd be interested to know if any of you can beat this. I'm a 14 year old student in my first year of high school. I live in Erie Pennsylvania, a rather busy port on the Great Lakes. My dad got me interested in shipping, and always has been taking me when he goes to watch ships. The first one I saw was the J. Burton Ayers on May 31,1989.I skip school occasionally to watch ships, although I don't do that too often. You guys are making me feel old. I am a male, 38 years old living in a suburb of Toronto, Ontario, Canada. After graduating university with a BA Honours in history, I had a choice between doing my MA in Vancouver in Ottoman Turkish history, or getting married and a job - I took the job. Always interested in ships, I got an entry level job with Tropical Shipping, but soon moved over to Hapag-Lloyd. I worked in the sales dept. at Hapag and then Mitsui-OSK Lines. In 1994, I moved to Montreal and worked for Abitibi-Price Shipping, and was in charge of operating their chartered fleet of 6 vessels, as well as chartering in extra tonnage. We moved mostly newsprint. Later, I also worked for MSC (Mediterranean Shipping Corp. 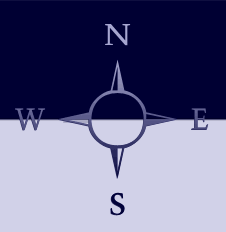 I have now moved into freight forwarding, and work for Danzas Inc, who is owned by the Deutsche Post. I sell ocean and air now. I still love history, particularly Canadian and Nautical. I have also developed an interest in blacksmithing, and hope to one day turn to that full-time. I also hope to one day finish my efforts to get my degree from the Institute of Chartered Shipbroking. I'm here to support you, Brad. Although not nearly as old as you are , 31 years old, male, married and I work in IT as a network engineer at a company that's about to give 188 employees 'the left foot of fellowship' (get their butts kicked, fired). Not sure what I will do next. Like most of you, I've been playing POC classic illigally until my conscience caught up with me and left me with an irresistable urge to pay for it.....bought the Platinum. Reading about you guys makes me feel old. I am a 48 year old married guy living in a northern suburb of the Gold Coast, Australia. Currently I have a little extra time due to a minor medical scare. I am no computer whizz but I enjoy playing the multi millionaire shipping magnate (1.5bio). Many thanks to rdklein for giving me this opportunity. I'm 24 years old male from Finland and I started to play POC on old DOS computers, I didn't know by the time that you had to pay for it, but now days when the POC XXL came out I thought let's buy a license and support this great game idea, so now I have the gold license. I like to play transport games, like tycoon games. So I have played most of the serious tycoon games there is. Also I like simulator games.